Posted in: Awards, Community, Media Release. 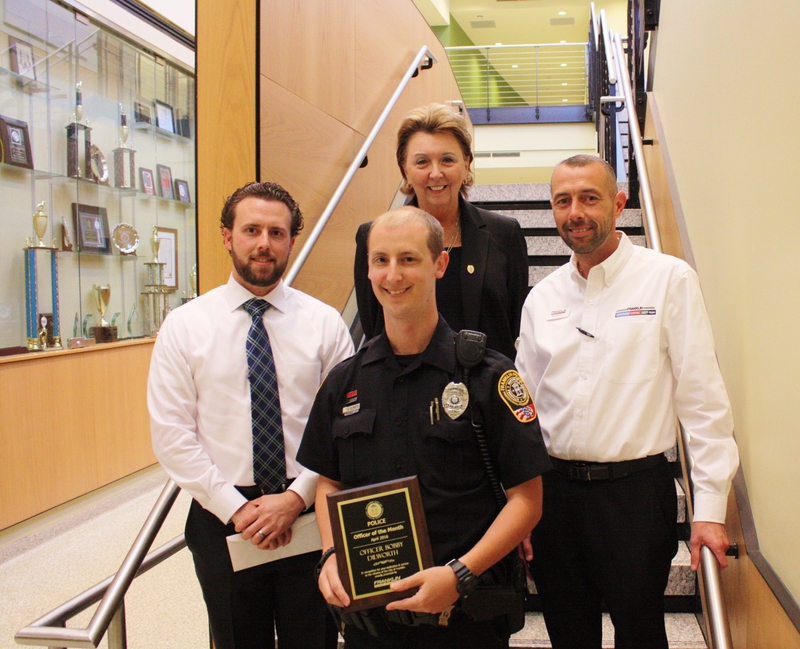 Franklin Police Officer Bobby Dilworth has been named Officer of the Month. The honor follows his work that led to the April 14 arrest of a convicted felon and his partner, and the recovery of more than $1,000 in stolen high-end cologne and perfume, and nearly $4,000 in stolen designer eyeglasses. Officer Dilworth was patrolling the Galleria parking lot in Cool Springs, when he stopped a car for a minor equipment violation, discovering the stolen merchandise inside. Officer Dilworth was personally responsible for 43% of the self-initiated arrests generated by his shift, in April. 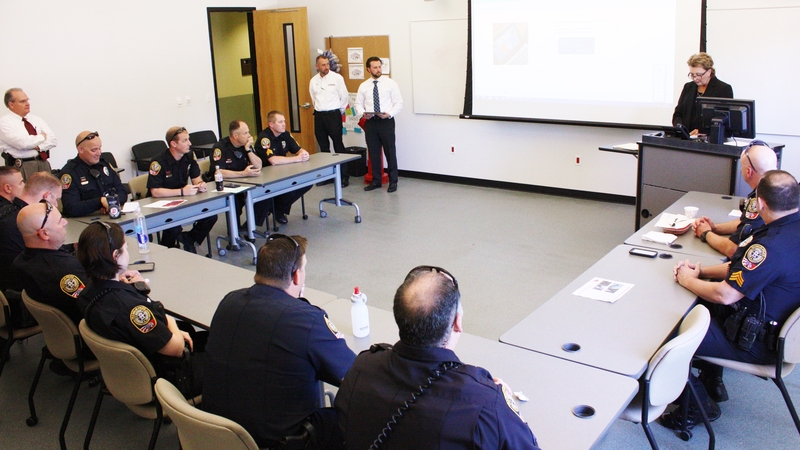 Toyota – Cool Springs, and Franklin Chrysler, Dodge, Jeep, Ram are proud sponsors of the Department’s Officer of the Month Program. Each month they honor a Franklin Police Officer’s accomplishment with a commemorative plaque, and a $150 check for the officer to donate to the charity of their choice. Officer Dilworth is donating the money to his favorite charity: Concerns of Police Survivors, a national origination that provides resources to the loved ones of police officers killed in the line of duty.